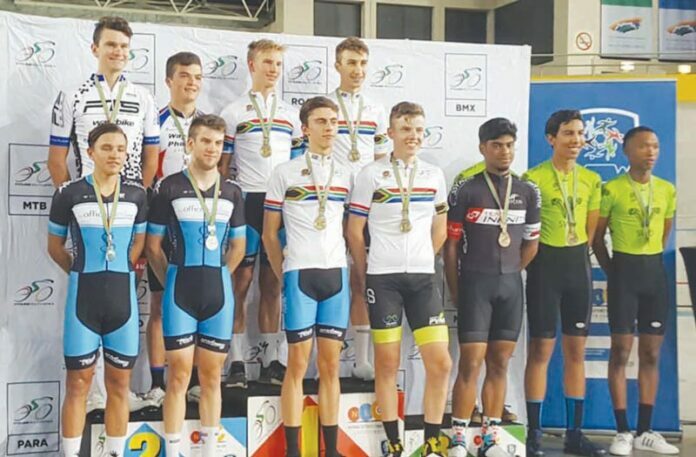 Congratulations to Alvin Bronkhorst and his team mates who were awarded with a second place in the Team Pursuit Event, at the South African Track National Championship, held in Bellville, Cape Town, from 26-30 March 2019. Earlier this year, Alvin Bronkhorst was selected as part of the PTSteam (Performance Through Science) and participated in the junior age category for boys. Alvin furthermore achieved a 5th position in the Elimination and Keirin Event (a form of motor-paced cycle racing in which track cyclists sprint for victory following a speed-controlled start). He came in 7th and 8th in the Time Trial and Scratch Race respectively, with less than three seconds separating the 1st and 8th places. With a total of 20 junior cyclists, the competition was tough and all the participants were very skilled and fit. With this only being Alvin’s 4th time on the track, he did considerably well. 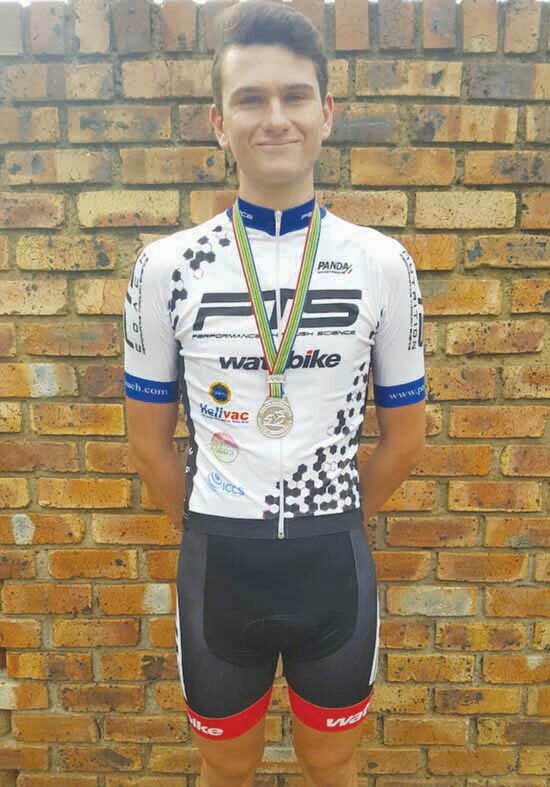 This young cyclist is now more ready than ever and is busy preparing for the South African Road and Time Trial National Championship, set to take place in Durban on 22-23 June 2019. All the best to you Alvin! Hard work pays off and it is evident that with all the effort you put into your cycling, hopefully you will achieve many more great results.